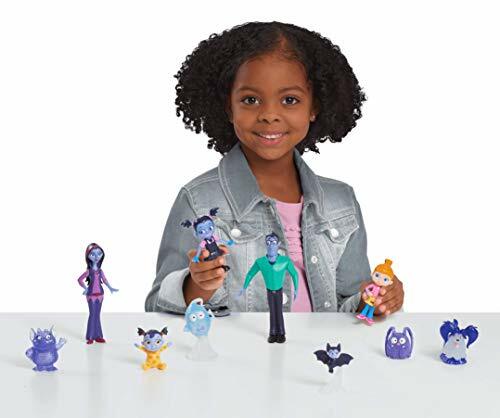 Demi, Wolfe, Gregorian and Vampirina 'Case of the Battys' figures work with a special Ghoul Glow technology, compatible with the Friends figure set's Ghoul Glow Lights & Sounds Chamber! Most figures feature poseable limbs. 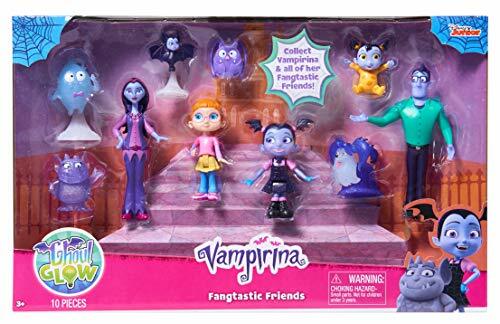 Includes Vamp Irina's backpack accessory. 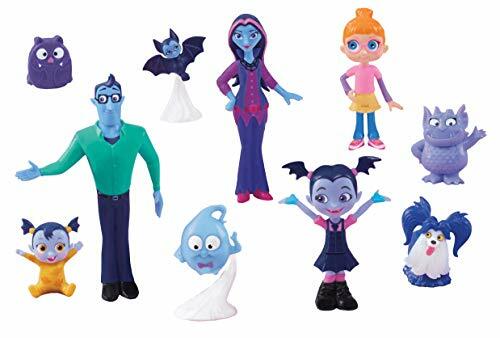 Kids can recreate the fun and bat-tactic world of Disney Junior s new preschool series, Vampirine, with this awesome Vampirine Fantastic Friends Figure Set! 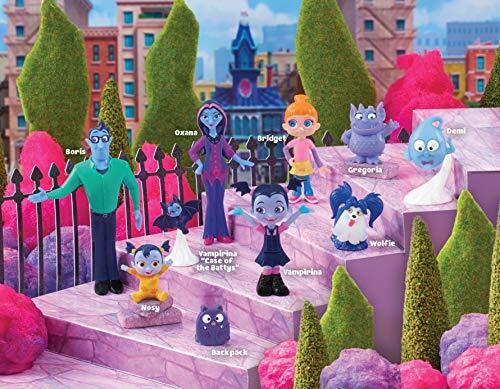 The set comes with 10 characters from the show including: Vampirine, Oxana, Boris, Demi, Bridget, Vampirine 'Case of the Battys', Nosy, Gregorian, Wolfe & Vamp Irina's backpack accessory.